552LF-SSMPU is rated 4.1 out of 5 by 12. 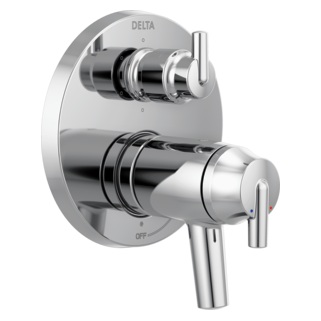 Rated 2 out of 5 by Rangerbob from Low flow We bought two Delta 552LF-MPU faucets. 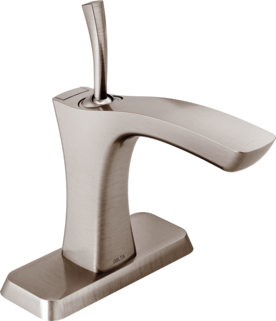 We liked the modern single handle design but found that the water coming from the faucet had two problems. 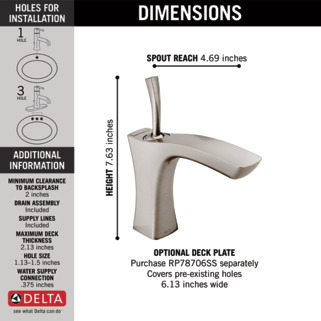 First, the outlet hole is not angled forward like some other faucets so the water comes straight down. More importantly, there is no aerator which makes the already low-flow seem even weaker. There is one other item which is the nickel finish which is very warm looking and unlike other nickel or even stainless steel finishes. 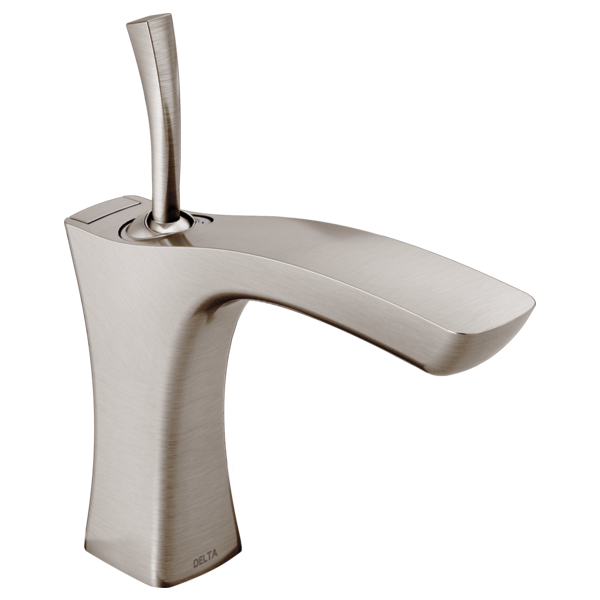 Rated 4 out of 5 by T from Looks great but...... It’s a beautiful faucet that goes with traditional and modern design. We had an issue with the flow (airator) and delta was very good about sending a replacement one. 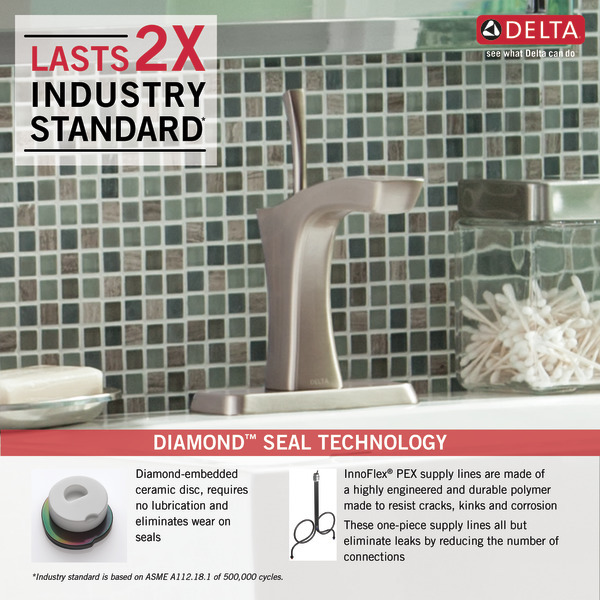 However, it does not extend enough into the sink thus splashes water when you put your hands. Otherwise it’s a great look to our modern bathroom and now flows great. 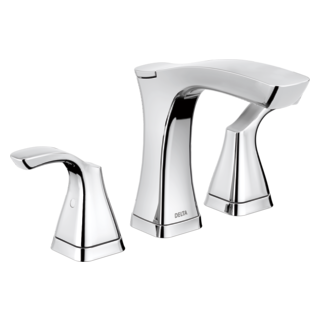 Rated 3 out of 5 by PIW Bill from Seems to run slow Love the looks, but it takes 3 minutes instead of two minutes on my old faucet to get more than warm water. A bit frustrating. 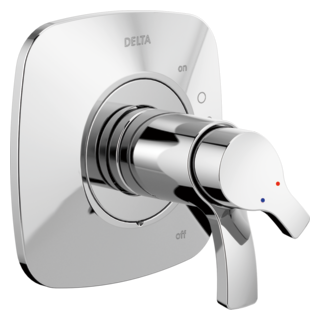 Does the Tesla single handle faucet have an aerator? Is the Tesla faucet brass construction?